Manufature of All Types of Banquests Chair & Tables, Conference Round Table, Square Table. Meeting Table and Stainless Steel Chair, Aluminium Chair etc. Our enterprise is dedicatedly engaged in offering a gamut ofBanquet Furniture. Customers can avail a variety ofAluminum Banquet Chair, Steel Banquet Chair, Banquet hall chairs, Wedding Chairsunder this category. These products are designed and crafted by a team of creative craftsman in accordance with contemporary market trends. Customers can avail these eye-catching and fine finished products from us in different designs and sizes, as per their needs. 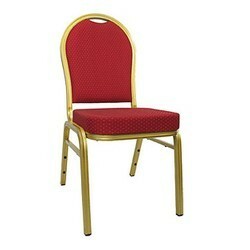 Looking for Banquet Chair & Tables ?